BLACK Heavy Duty Barrel Shaped Swing-mate Comfort Spring for Porch Swings, Free-standing Swings, Hammocks and Hammock Chairs. 2” in Diameter and 8-1/2” in Length. Free Shipping Included! 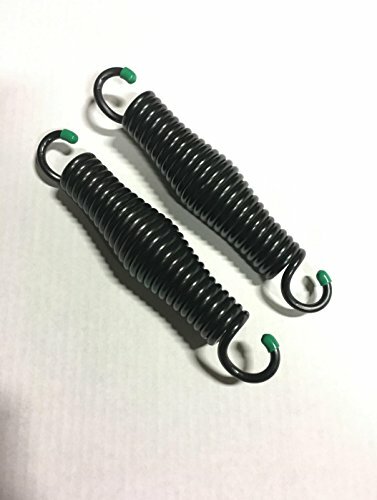 BLACK Heavy Duty Barrel Shaped Swing-mate Comfort Spring for Porch Swings, Free-standing Swings, Hammocks and Hammock Chairs. 2” in Diameter and 8-1/2” in Length. by Levi Innovations at COTM Blog. MPN: Swing-Mate. Hurry! Limited time offer. Offer valid only while supplies last. The Swing-Mate® spring locates between the overhead support and swing chain to provide a more comfortable, softer feel to porch swings, free-standing swings, hammocks and hammock chairs. Swing-Mate® is a heavy-duty barrel shaped spring approximately 2" in diameter and 8-1/2" in length. It is zinc plated and clear coated to provide additional protection against the elements. he springs come in sets for porch swings and hammocks and are also available as singles for hanging chairs. For oversized swings and hammocks, Swing-Mate® buddies are available to double up the spring weight capacity. If you have any questions about this product by Levi Innovations, contact us by completing and submitting the form below. If you are looking for a specif part number, please include it with your message. 22 Inch Southern Pine 4 Hole Tree Swing - Wooden Swings Rope Kids Adult Outdoor Indoor Patio Pine.